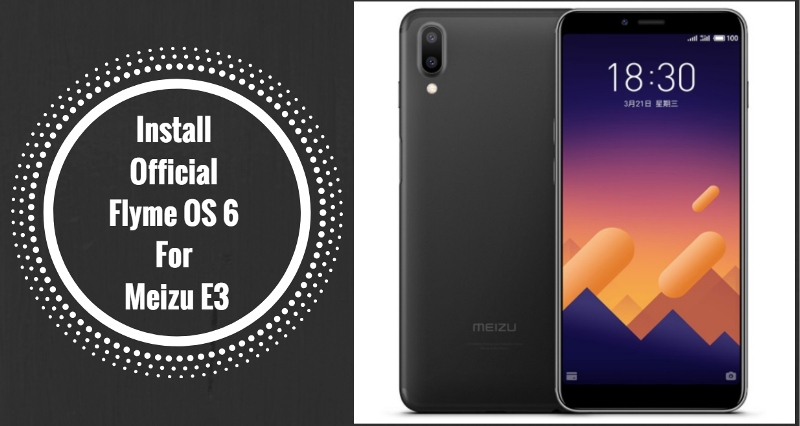 Good news for Meizu E3 users. You can now install Flyme OS 6 for Meizu E3. Flyme 6 OS was recently released for Meizu devices based on Android 6.0 Marshmallow. Flyme 6 OS has many features such as theme, new user interface, Meizu launcher, Flyme Weather application, and more, as well as other performance improvements and optimizations. Now, in addition to the official Meizu devices, Flyme 6 OS is also suitable for many Android devices. The latest version of Flyme 6 is now available for the Meizu E3. You can now download and install Official Flyme OS 6 for Meizu E3 from the link given below. This Flyme OS is an official but it comes via custom ROM for Meizu E3. We share the direct download link below. To flash Flyme OS 6 on Meizu E3 need to install TWRP recovery or any custom recovery. if you already have a custom recovery then skip this step and direct follow the step to install custom ROM. so let’s go guide to install Official Flyme OS 6 for Meizu E3. Make sure installed TWRP recovery on your device. Download Flyme OS ROM, Gapps from below. Download “ update.zip ” copy it to external memory. Once complete, again back to a recovery menu and install Gapps file. If you have any problem comment below in the comment box, also, you can reach us on our official Facebook page.